Somnaphon creates glitched/data bending digital audio and visual synthesis. Signals run into each other creating psychedelic, colorful matrixes of broken digital cell rendering. Who knows the signal flow of this glitch artist but it seems geometry is running amok, backed by a minimal but all present digital noise/ambient soundtrack,. Visual , architectural loops with varying but repeating Colors, shapes, and planes bend, distort, tear and melt into each other through digital loops of circuit bent video pulses. Out Of Body Records usually releases all analog artists, but with the release of the Somnaphon VHS, OOBR presents these eleven tracks digitally moshed and twisted visual experiments in an analog format, compared to some of Somnaphon’s other online works, “Anthology Of errors” has a distinct hybrid digital/analog feel, often times appearing as digitally glitched out scenes of confusion presented and pressed onto analog tape, or reprocessed through analog devices. Somnophon does a good job at masking, or rounding out the digital aesthetics of “data bending music” for a more 1970’s analog feel. Cascading pillars of pixels, lines, and rogue color palettes gently , yet meticulously morph and pulse into and out of each other to create visual poems of distorted geometry. Mirrored madness through the multiplication of destroyed and wrong pixels creates a visual journey or errors inside the first ever broken computer- error in, error out, blood in, blood out, bad human in, bad human out. Despite subscribing to the “data bending” strategy of visual construction, which can often display a somewhat limited visual palette, Somnaphon employs a wide array of image creating techniques, which morphs, pulses, generates and multiplies over the entire eleven tracks, creating an obtuse visual representation of what is possible with “data bending” . At times more painterly images are formed and other times, more rigid minimal, geometric structures and rendered and bled into new forms of their previous incantations. 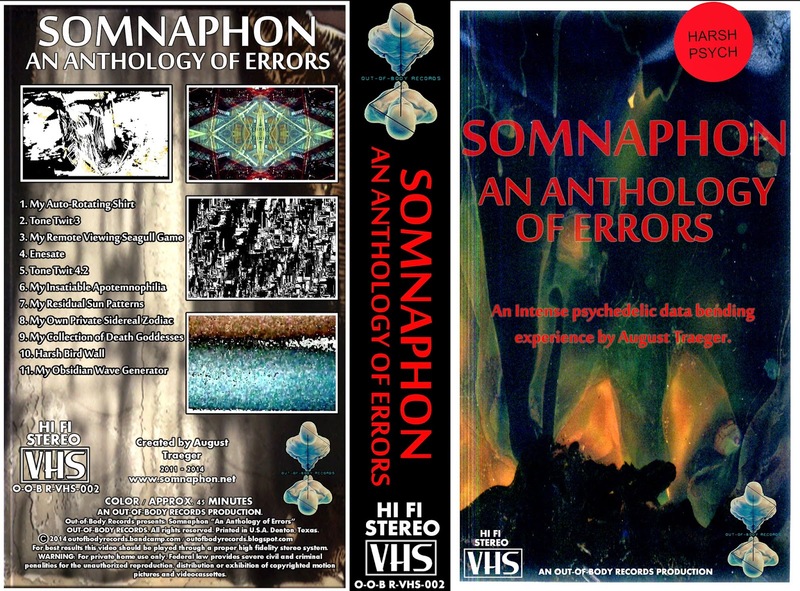 Somnaphon is seeking to destroy and redistribute the pixel, to create “anti digital-digital art and music” and this VHS is the perfect introduction to just that! Beautiful packaging , as always from this label, complete with the STOP PLEASE REWIND sticker!! This disk is a tiny tiny sliver in the mass of archived and releassd material from Traverse City, Michigan’s own Dental Work aka Jay Paul Watson , head honcho of Placenta Recordings, an extreme music and art label and distro boasting hundreds of releases, in less than five years time. 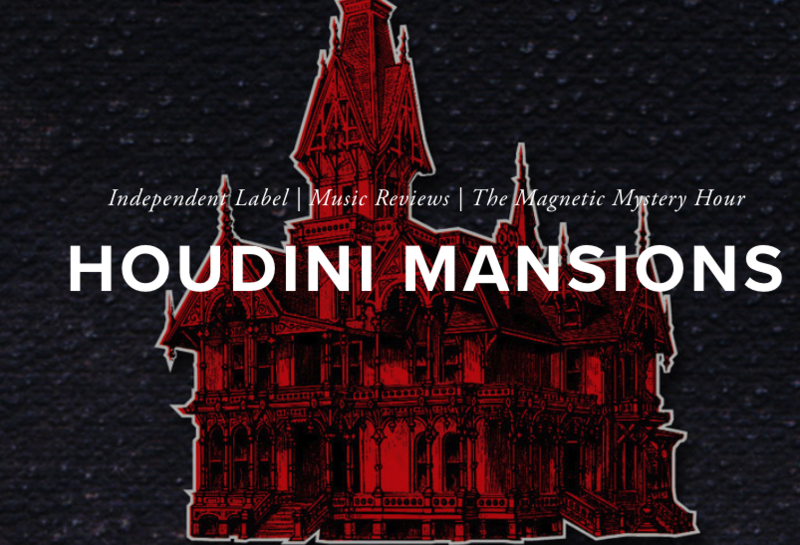 A true archivist of all strange and absurd, the website and discography are a MUST SEE. These people are dedicated and inspired, and this album is no exception This album brings forth some of the most spastic cut up noise we have heard in a while. Starting out safe and slow (but for only a split second does he hang you in this space of tranquility before taking you on a sonic adventure of frequency debauchery, using computers, records, contact mics, broken turntables, too short samples? Axes, blow up dolls and a slew of other objects which he brings to have a sonic life of their own. Bass piezo and thrwarted mixer feedback squeal into psychoacoustic like highfrequencies, which shread through innear ear drum, with the broken needle that he drops randomly back on the record. The recordings are blown out drummed stutter battles, and, many times throughout, the nervous “percussion” plays into the overall anxious vibe of the album. This CD IS NOT FOR SLEEPERS BUT FOR CAFFFIENE FIENDS, at times this cd is straight noise wall, other times its cut up digital drums and shrieks of mic feedback which breakup , well the CHAOS. a great listen for fans of VENETIAN SNARES,VANKMAN, DJ SCREW etc . The disc is packaged in classic Placenta Recordings slimline DVD case with full color collage artwork by the artist himself! Would live to see some art on the disc is the only thing, just blank white CDr. but a solid release overall!